A former trial attorney with the U.S. Department of Justice, Brian Harris represents clients in federal, state, and local tax controversy and litigation throughout the United States. From the IRS to state departments of revenue and municipalities, Brian advocates and defends the interests of a diverse range of clients operating in the automotive, retail, logistics, financial services, finance, and manufacturing sectors. 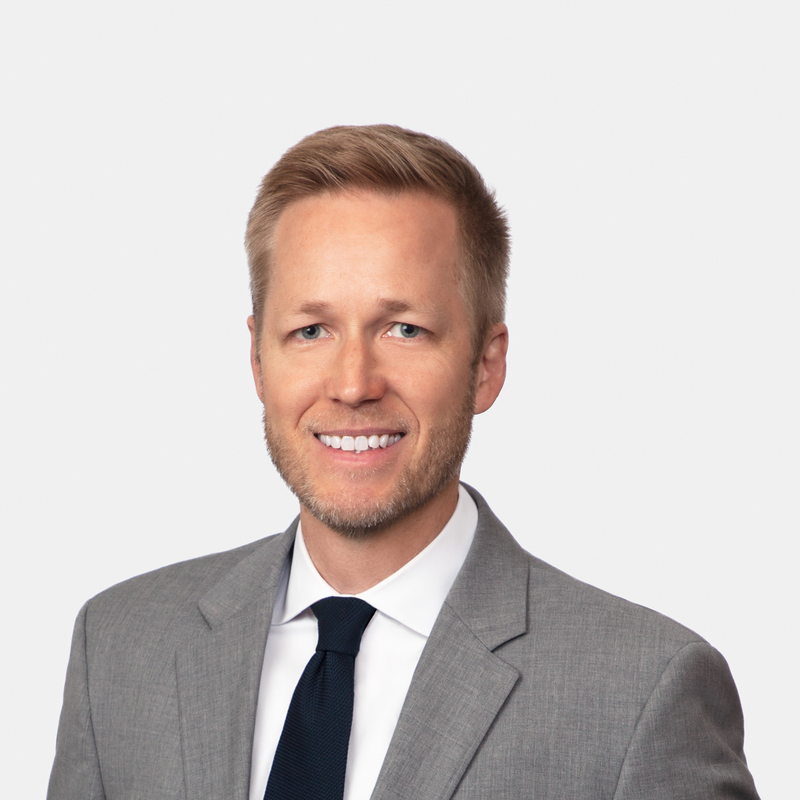 Clients value Brian’s expansive tax knowledge across jurisdictions and his extensive courtroom experience gained from litigating over 100 cases in federal and state courts. Brian represents clients before the IRS in audits, appeals, and litigation in U.S. Tax Court and federal district courts. He works with clients on offshore voluntary disclosures, streamlined filings, penalty waivers, private letter rulings, responses to summonses/subpoenas, and collections matters (i.e., liens, levies, offers-in-compromise). In addition, he counsels clients on international tax compliance, pre-immigration planning, expatriation consulting, income tax planning, and other federal tax matters. Brian’s state and local tax practice includes defending audits and litigation with numerous state departments of revenue. He counsels on sales taxes, corporate income taxes, unitary business groupings, nexus, captive insurance companies, among other issues. His experience includes audits and administrative appeals through to litigation in state supreme courts. Before joining Akerman, Brian was a trial attorney with the U.S. Department of Justice, Tax Division. He was the lead attorney for the United States and IRS in federal courts across the country and litigated several of the government's largest and most significant tax shelter cases involving coordinated national issues, debt versus equity transactions, and the economic substance and business purpose doctrines. He also handled cases involving summons enforcement, trust fund recovery penalties, return preparer penalties and injunctions, property valuation, fraudulent transfers, and the treatment of taxes in bankruptcy. Represented individual in IRS audit and appeals against assertion of $1.9 million in trust fund recovery penalties. Represented owner of aircraft business in IRS Appeals against assertion that business was not engage for profit and that Section 183 hobby loss rules applied. Represented of Fortune 500 company in Tax Court litigation involving assessment of tax, penalties and interest stemming from proposed change to accounting method. Represented taxpayers in IRS audits and appeals involving various international tax issues, including assertion of penalties for late filing of Forms 5471, 8938s and FBARs. Represented taxpayer in $1.4 million sales tax refund claim before the California Board of Equalization. Represented the United States in the defense of a $435 million tax refund suit involving the valuation of hundreds of patents covering cancer treatments, drug delivery systems, cosmetic products, paper manufacturing and insecticides, and the valuation of art. Represented the United States in the defense of a $200 million tax refund suit involving the valuation of patent portfolios covering manufacturing technologies and food products. Represented the United States in the defense of a $25 million tax refund claim brought by a company previously involved in a $200 million employment tax fraud scheme. Represented the United States in suit seeking a permanent injunction against tax return preparer, and in a related suit seeking a judgment of $1.4 million in penalties under 26 U.S.C. 6701 and 6694(b) for her preparation of fraudulent tax returns. Represented the United States in a wide variety of suits to enforce taxes, including to reduce taxes to assessment, to foreclosure or administratively seize property, to obtain judgments against responsible officers for unpaid trust fund taxes, and to seize property held by a taxpayer's nominee or alter ego. Represented the United States in conjunction with its tax claims in Chapter 7, 11 and 13 bankruptcy cases, including fraudulent transfer actions under 11 U.S.C. §§ 544, 548.